8 Ways to Increase Your Car Resale Value - autopom! Depreciation is a reality, but there are things you can do to increase your car’s resale value. 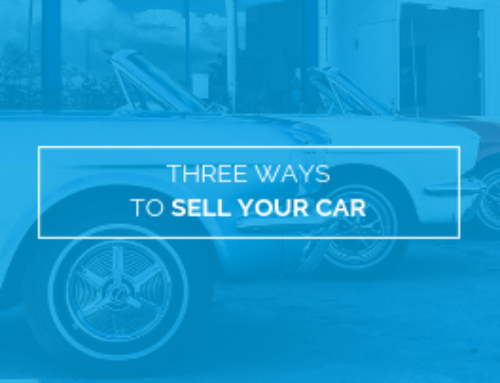 Unless you plan on keeping your vehicle until it is ready to be hauled off to the recycling graveyard, you should always be thinking about what you can do to ensure that you get top dollar when it comes time to sell or trade it in. 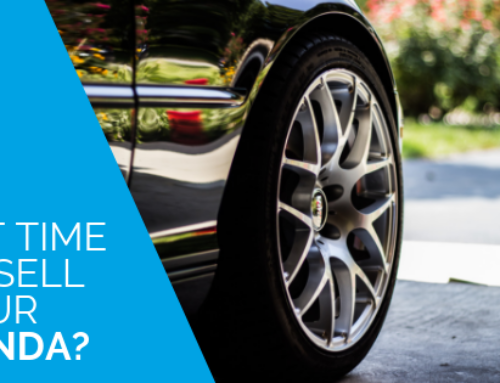 A clean, well-maintained car is worth more to a customer than a tired, worn one. That’s a fact. If you were buying a vehicle, which one would you choose? 1. 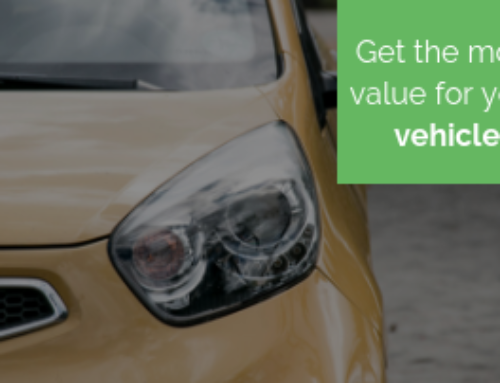 Buy a Car That Holds Its Value Well. There are certain factors that affect the resale value of a car. Usually, you will be able to get more money for brands that have a reputation for being safe, reliable, and keep on going for many, many miles. Generally, imports such as Toyota, Honda, Subaru, Nissan, and Mazda will hold their value better than American brands, but you can check the Kelley Blue Book or websites like Edmunds.com to get a good idea of what your vehicle will be worth for a particular age and condition. If you want to get the most value for your money, research ahead of time so you can make a good purchase while avoiding vehicles that have less than stellar resale reputations. 2. Don’t Customize. Making modifications to your car can lower its resale value, especially if these changes or additions are a little out of the ordinary. You might think that swirling pinstripes, noisy aftermarket exhaust systems, or wild paint colors are fun; but, there is a good chance that a potential buyer will not feel the same way. When it comes to things that are a matter of personal taste, you are best to stick with the basics. Upgrades may bring you a few extra dollars, but over-the-top customizing could limit your market and lower your resale or trade-in value. If you really want to make some changes, be sure to keep all the original parts and make sure that the car can be returned to its former state when it comes time to sell it. 3. Be Diligent With Maintenance. Follow the maintenance schedule outlined in the owner’s manual and make sure to keep receipts for everything you do. Many buyers are willing to pay top dollar for a vehicle that has been well maintained and taken care of. One of the best ways to instill confidence in a potential customer is to hand them a stack of receipts or a record book as proof that your car received the TLC it deserved. And, when it comes time to sell, it is a smart idea to make sure the tires and wipers are in good shape, the fluid levels are topped up, the oil looks clean, and the battery is strong. Of course, if you have been taking care of your car all along, this shouldn’t be a problem! 4. Avoid Accidents and Damage. Park far enough away from other vehicles or moving objects to avoid scratches and dings. Keeping the body in good condition is the main resale feature, and there is nothing that ruins a pristine paint job more quickly than having a door, shopping cart, or child’s baseball thrown into the side of your car. Also, a vehicle that has never been involved in any accidents or crashes is usually worth considerably more than one that has, so do your best to drive carefully and avoid collisions. However, even if you exercise the utmost care and caution, you can’t control the other drivers on the road. So, if you do happen to have any repairs or bodywork done, make sure to replace all parts with brand names and use a shop that has a reputation for quality. Keep your receipts and be honest with potential buyers. After all, consumers now have access to vehicle history reports, so they will likely find out anyway. It is better for you to be upfront rather than looking like you are trying to hide something. Avoiding any scratches and damage is ideal, but if it’s too late for that, then get an estimate before you decide to repair any minor issues. Dents, scratched paint, and scuffed rims can lower resale value, but if the damage is going to cost more to fix then you will get back, it may not be worth the time or money. Make sure you are going to get a return on your investment before you go to all the trouble and inconvenience. 5. Keep It Clean. The better a car looks, the more appealing it will be to buyers. Wash and wax it regularly to protect the paint from salt, sand, mud, and sun. Use a protectant on the dash and vinyl/leather seats to prevent fading or cracking. Use floor mats, vacuum often, and avoid smoking in the vehicle. Even if your car is spotless, offensive odors will often deter customers. And, when it comes time to sell, do a thorough detailing job so the car looks in tip-top shape when people come to see it. 6. Keep the Mileage Low. The mileage on a car will impact its resale value. Some vehicles are known for being mechanically sound even with 200,000+ miles, while others don’t fare so well. But, regardless of the model you are selling, the lower the mileage, the more money you will likely get. So, if you know that you will be selling or trading your car, plan to do it before it reaches a certain mileage. Do some research and find out what the “cut-off” point is – or the mileage where the value of your vehicle will drop considerably. This can vary depending on make and model, but if you want top dollar, don’t wait too long to sell. 7. Consider Features When Buying a Car. When you buy a car – especially if you are purchasing new- think about what features will add resale value. For example, a car with a built-in navigation system, side airbags, or a backup camera may sell for more money than the same car without these features. 8. Have an Extended Warranty or Vehicle Protection Plan. 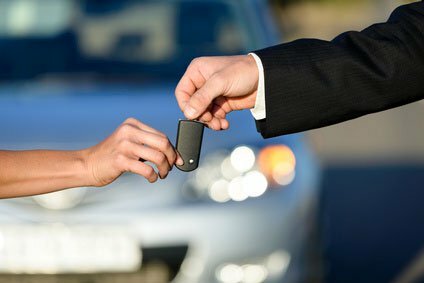 Buyers like to know that they are protected from any unexpected major expenses, and this is even more appealing when selling a used car. Purchasing a previously owned vehicle can be risky since you are never really sure how the car was treated or what problems it may have. So, many customers are willing to pay extra for a vehicle that has a transferable warranty or protection plan that will allow them to drive with peace of mind for the next few years. In today’s market, more and more people are buying used vehicles. 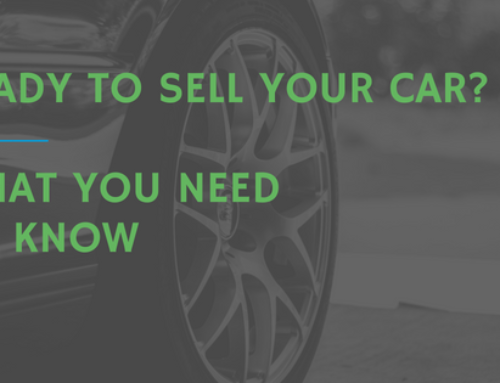 Now, more than ever, it is important to do everything you can to increase your car’s resale value so you can get the most money possible when you decide to sell or trade it.